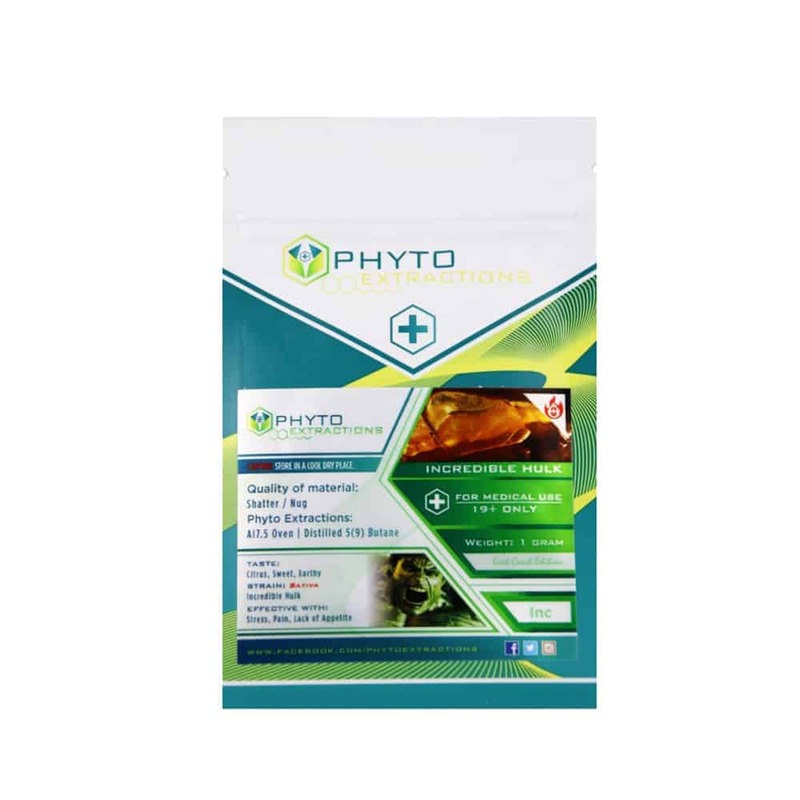 7 reviews for "Phyto – Incredible Hulk – Sativa Shatter"
This is one heavey hitter gives you the ultimate ” Hulk Smash ” very good. Definately one of my top 10’s. This is one of my favorites as it combines two of the greatest strains out there. The overwhelmingly delicious Green Cush comes thru and kind of overpowers the flavor of the Jack Herer but I like that.They both have a similar earthiness but the GC has some fruity sweetness to it. I’ve loved that GC from the first time I tried it. When you add the creative boost of the JH to the social energy of the GC you get a delicious daytime strain that if you take in moderation will make your day fantastic and productive bit too much and you find that for all it’s energizing effects it can also put you right on the couch. One of my favorites. Great taste and wonderful high. This is a go to for daytime use. Will definitely buy again. This is a good sativa! Keeps you going that’s for sure! Absolutely amazing. From when you first open the gram and get that potent earthy smell thst actually smells like dank bud itself!!!! Spicey..
* instant high.. Very potent and long lasting. Very energetic and uplifted. Wicked daytime time strain. Only needs 1 small dab & look out. Maybe the best phyto i have ever tried. No BS.. Very good effects, strong flavor and high that lasts a long time.